EOY = End of Year - It's On Sale till 12/31! 12/11 - NOTE OPEN SEW AND POST LUCK MOVED TO 12/15 DUE TO CLASS SCHEDULE. 12/24 - 12/31 - HICKORY HILL IS CLOSED FOR CHRISTMAS AND INVENTORY! Not closing on the 14th! The Hickory Hill Block of the Month (BOM) program for 2019 will be for in-state (Arkansas) children in long term care. Wanda Mills is heading up our focus again this year and she is working with Arkansas Children’s Hospital and other entities to get ideas and estimates of how many and what kinds of projects might be needed. This requires us to change up the process a bit since we don’t have a bee to assemble the blocks and award them. HHQ will be hosting charity sew days once a month (4th Saturday). This will NOT take the place of our normal, monthly Open Sew Day/Pot Luck; however, those wishing to work on charity projects during Open Sew Day can do so. The ONE TIME fee will cover all the projects and training materials for sew days. AS A REWARD: All participants get 10% off all fabric purchases on open sew days including 10% extra off the sale room! These days will also be pot luck lunch days! Participants must sign up. The cost is $20. This will ensure that HHQ has a block ready for you to contribute your time and love to prepare. Signing also pays for training and helps defray the cost of the fabric, batting, backing, thread, etc. Sign-ups can happen at any time during the year. Participants will need to turn their block back in to HHQ monthly by the 10th of the following month. Blocks can be turned in any time; however, new blocks are available after the 1st of the following month. This makes the 1st thru the 10th the optimum dates for exchanging and picking up blocks. Participant can have someone bring in their blocks to get the next block. SIGN UP INSTRUCTIONS: This BOM is in the Class Calendar. Please sign up and pay your $20 either on line or in the shop. If you have any questions or suggestions (patterns, ideas…. 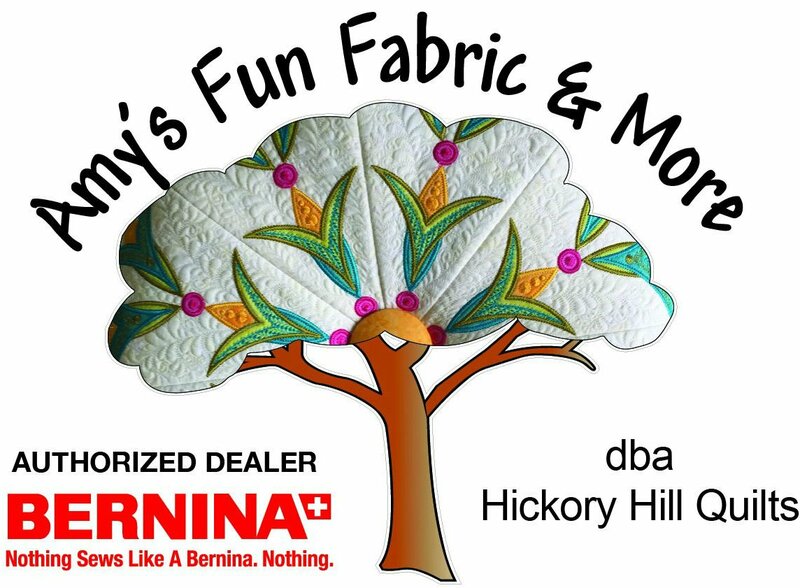 ), call Hickory Hill Quilts at 501-318-2739.